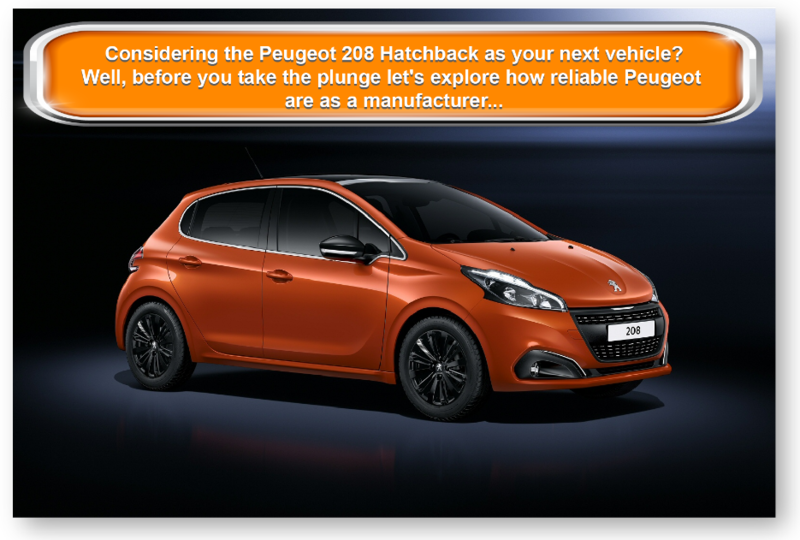 The new Peugeot 208 Hatchback represents good value for money; it’s got heaps of equipment and will save you a lot of money at the pumps. Crucially, it also has plenty of style. The 208 is one of the best-selling cars in its sector, and over the years has built itself a solid reputation that can rival the Ford Fiesta and the VW Polo. It may not be as sporty as either car, but it’s spacious, comfortable and easy to drive. You can get it with either three or five doors, and there is a good range of engines to choose from. OSV takes a closer look at what it’s all about with our Peugeot 208 review. Good grip and quick steering make the 208 Hatchback easy enough to drive, but it can’t offer as much entertainment as some of its rivals. It’s impossible to corner too fast unless you’ve got enough confidence to just put all caution to the wind, though there is minimal body lean in corners, thanks to the suspension setup. There is a good amount of petrol and diesel engines to choose from. A small 67bhp three-pot petrol unit kicks things off; it can do 0-62mph in 14 seconds, but actually manages to feel faster thanks to a distinctive thrum. A 1.2-litre model is quicker, and does the 0-62mph dash in 12.2 seconds. Out on the motorway, a five-speed ‘box makes them a little bit too noisy for our liking, and neither does this transmission feel especially accurate or tight. A smooth and refined 1.2-litre PureTech petrol engine is even faster, and gets you from a standstill to 62mph in 9.6 seconds, before maxing out at 118mph. For pure, unadulterated fun, the GTi model is the most exciting. It gets a 6-speed manual transmission, and can rocket you and your luggage from 0-62mph in just 6.5 seconds, before maxing out at 143mph. A BlueHDi diesel rounds the range off. It’s available in two power guises – 67 and 118bhp, with the former taking a rather plodding 13.3 seconds to do the 0-62mph sprint. The 118bhp variant, meanwhile, has enough power in its ranks to cover the same distance in 9.4 seconds. It’s good for overtaking, though both engines were designed to be efficient more than performative. The interior is a big improvement on the outgoing 207, though it can’t offer as much comfort as some rivals. The driver’s seat is height-adjustable, which improves comfort as well as visibility. Thick windscreen pillars, however, mean that visibility is never fantastic. The suspension is set up in an attempt to offer both sporty thrills and comfort, but Peugeot haven’t quite nailed the perfect blend. The 208 doesn’t do a fantastic job of absorbing bumps and lumps, while the GTi is by far the worst offender – there will be some pain for pleasure. Thanks to the five-speed ‘box coming as standard with most engines, external noises seep rather easily into the cabin. The interior looks better than ever, with soft touch plastics being more prevalent. The dash is stylish, and most of the controls are easy to reach and use. One criticism is the position of the speedometer; located behind the steering wheel’s rim, it’s not always going to be easy to see. Also, the steering wheel is smaller than most of you will be accustomed to. To make sure it’s attractive to buyers who are looking at the Focus and Golf, Peugeot have added the option of a five-door model to go along with the three-door. The latter is sporty and stylish, while the former adds more practicality – it is ideal for five passengers or kids. Both get a 285-litre boot, which is one of the biggest in this class. You can fold the rear seats to expand that space to a whopping 1,152-litres, which kicks its rivals into touch. There are caveats, including a lip and the fact that the rear seats can’t be folded totally flat. The small glovebox is a disappointment, but leg and headroom is good upfront and in the back, while a height-adjustable front passenger seat comes as standard in the Allure model. The GTi, GTi Prestige and GTi trims are only available with the three-door. The Access A/C doesn’t have an entry-level feel to it, and gets treated to remote central locking, LED rear lights, air conditioning and electric front windows. The Active trim adds the brand’s touchscreen entertainment system, alloys and a leather steering wheel. While the Allure line gets bigger 16” alloys, DAB digital radio, lashings of chrome and climate control. The GT Line shares the same kit as the GTi, which means you get a leather-trimmed steering wheel, bigger alloys, an upgraded body kit, unique grille and half-leather sports seats. Prices for the new car start out from £12,300 and rise to just over £19,000. 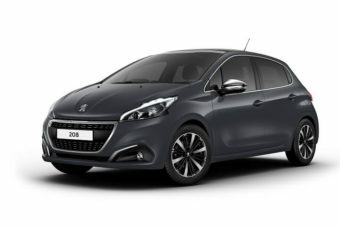 If you prefer to lease please find more information on our Peugeot 208 finance and lease deals at our page here. Running costs are low, thanks to the 208 coming with some of the most efficient engines on the planet right now. The 1.6-litre 118bhp BlueHDi diesel unit is a solid choice. It comes paired up with a six-speed transmission, and can average fuel economy returns of 78.5mpg while costing nothing to tax. There is, however, an even more frugal engine in the range – the 75bhp 1.6-litre BlueHDi power plant that can return up to 94.2mpg. It won’t be possible to achieve those numbers all the time (if at all), but it’s a good indication of how much money you will save with this model. The BlueHDi engines also benefit from stop-start technology, which is another reason they’re so efficient. The petrol engines don’t fare too badly either, though, with the 1.2-litre engine recording just over 100g/km of CO2 while returning 62.mpg on average. The car fluctuates wildly when it comes to insuring it. The cheapest model sits in insurance group 7, while the most expensive is all the way up in group 33. Rivals just don’t come close to those numbers achieved by the 75bhp diesel engine. Really, only the Ford Fiesta Hatchback looks better in this class. This is a smart-looking, dynamic hatch that can wow. 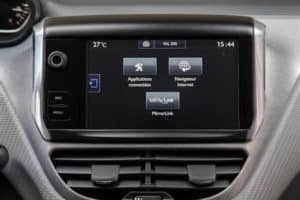 New alloys, LED tail lights and a neat new touchscreen infotainment system are just some of the standard kit highlights. Peugeot have been very generous. If you were to guess how this car drives based on its looks, you’d have said for sure it’s a heap of fun. Unfortunately, it’s not as entertaining as you’d expect. It falls short. Take it over poorer road surfaces and you’ll notice it. 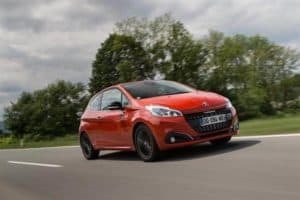 Let’s see how the car measures up against its rivals in the comparison section of our Peugeot 208 Hatchback review. The new Renault Clio Hatchback has matured since last time around, but it’s still fun to drive and great to look at. It’s just that it’s now also cheaper to run and more comfortable. The Clio has forged a solid reputation for itself as something of a sporty hatchback over the years, and although its driving experience has now been toned down, it doesn’t mean that it’s a total bore. It does, however, feel more grown-up and refined than ever. The engines all offer decent if not great performance and each one barring the entry-level petrol are smooth and hushed about town. Our top pick of the petrol engines is a small 0.9-litre unit that is responsive in city traffic, and makes overtaking look simple. On the motorway, though, it will become a bit of a noisy old thing. The 1.5-litre diesel offers just as much power as the 0.9-litre petrol – 89bhp. But while the petrol is at home in the city, this diesel is better suited on the motorway, where it can offer a relaxing driving experience. Whichever engine you choose, the car is easy to drive, the steering is light, and the suspension does a good job at absorbing lumps and bumps. One of the Clio’s strengths is its low running costs. It’s one of the biggest cars in this class, but it’s managed to be bigger and lighter than its predecessor. So although it won’t hold onto its value too well, it will be cheap to run. The 1.5-litre diesel is can achieve fuel economy returns as high as 88.3mpg, while the tiny 0.9-litre petrol is good for 61.4mpg. The Clio’s interior feels grown-up at last. It’s comfortable and quiet, and everything is as you’d want it to be – the seats are mounted high for good visibility, while there are more soft-touch plastics than ever before. There are criticisms, such as scratchy plastics in noticeable places, such as the centre console, but overall this is a good effort from Renault. The Clio is only modestly practical, despite its size and the fact that the three-door model has been dropped. Space in the rear is still at a premium, while headroom all around is not fantastic thanks to a sloping roofline. As expected in a hatchback, there are plenty of storage spaces to be found, but the glovebox is small. The 300-litre boot, however, is one of the biggest in the class. 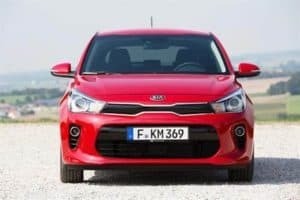 The new Kia Rio hatchback is stylish, practical, and super affordable. Kia has for a long time been known as a budget brand, and although it’s done well to shake off that unwanted tag, there is no denying that they still put frugality at the top of their list of priorities. The 1.1-litre diesel engine, for example, is incredibly cheap to run, but Kia have put fuel consumption before performance to the extent that this engine takes 16.1 seconds to do 0-62mph. The petrol engines have a bit more to them, and feel more responsive. A 1.25-litre unit can do the 0-62mph dash in 12.9 seconds before maxing out at 104mph, while a 1.4-litre petrol delivers up to 107bhp, and can do the same distance in 11.0 seconds. These are good numbers that are competitive with the 208, but on longer journeys on full loads, the engines will feel a bit underpowered. The diesel engines benefit from stop-start technology which contributes to excellent fuel economy, but you have to question whether or not the sluggish 1.1-litre diesel is really worth the pennies you save. It lacks any sort of performance whatsoever. There are better diesel engines in the range, including a 1.4-litre 89bhp CRDi model, but it is noisy. A quick look at those running costs: The 1.1-litre diesel engine is capable of returning fuel economy of 78.5mpg while being free to tax, while the most powerful diesel – the 1.4-litre CRDi – is good for 74.3mpg. The petrol engines aren’t half-bad either, and the 1.25-litre units returns of 56.5mpg should be attractive enough to anyone who isn’t expecting to cover many miles. The Kia’s interior is straightforward, uninspiring stuff. It’s well equipped and does the business, but it lacks style. The design and layout is very business-like, and the opposite of what you’d find in, say, the Clio. The seats are firm, there are plenty of storage spaces available, but the dash looks aged. The Kia Rio Hatchback is big for a hatch, which means front and rear passengers don’t have to worry about space. However, this has come at the expense of the boot, which only measures 288-litres. Making your mind up won’t be easy because this car is competing with a lot of other good small hatchbacks. You’re spoilt for choice. 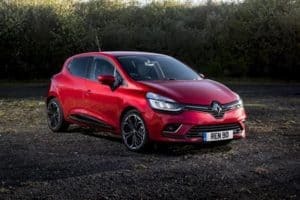 If anything makes the 208 standout from the likes of the Kia Rio, the Renault Clio and the VW Polo, it’s remarkably low running costs and unique, edgy styling. It’s also practical and nice to look at indoors. It’s not as fun to drive as some cars, but it’s easy to drive, and on the whole the Peugeot 208 Hatchback is a solid choice.